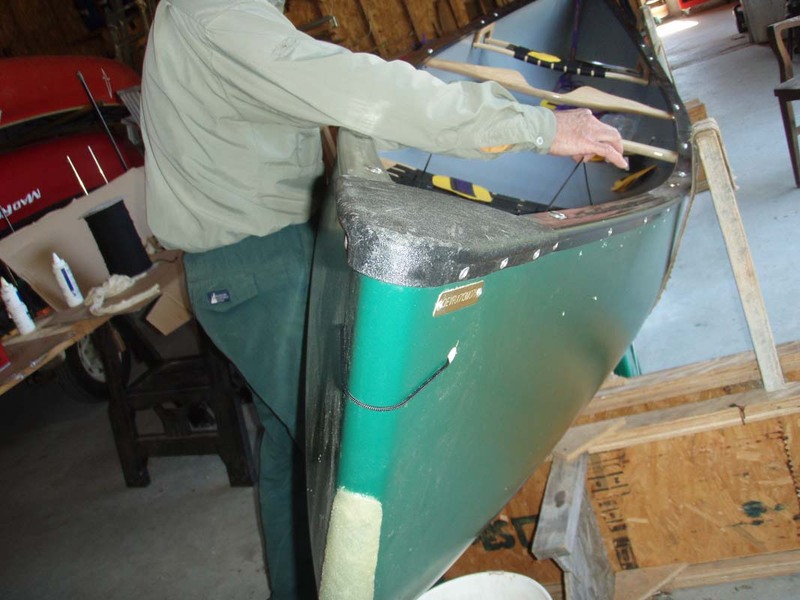 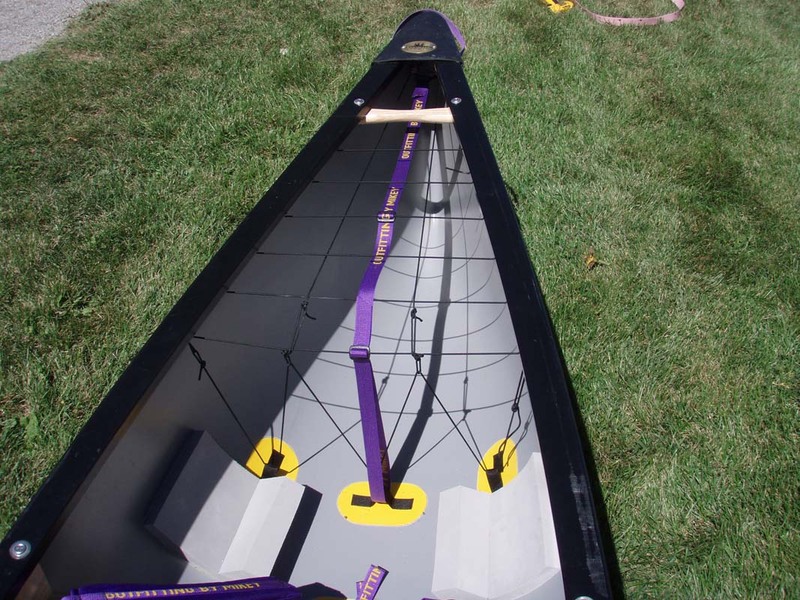 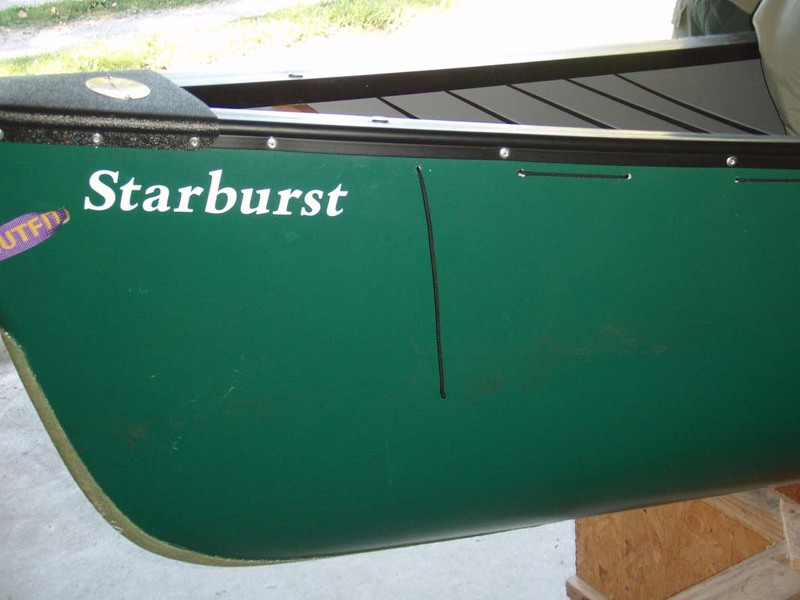 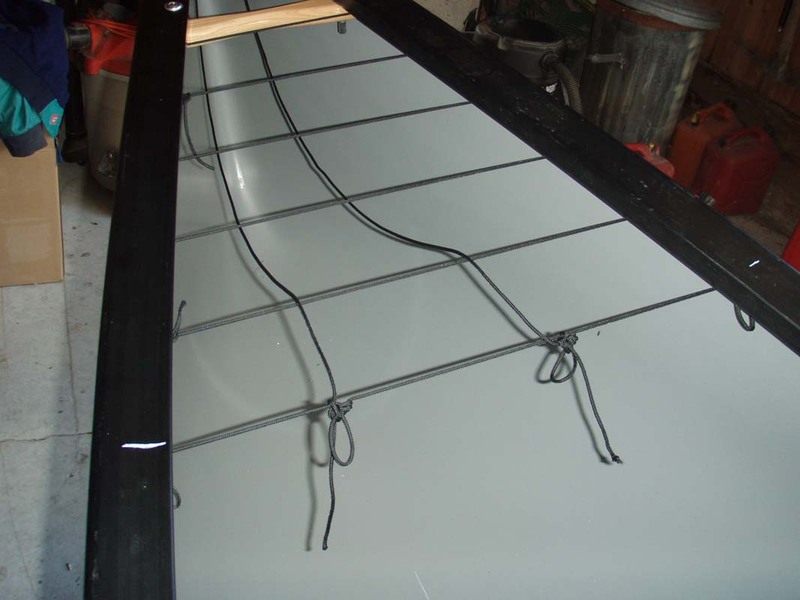 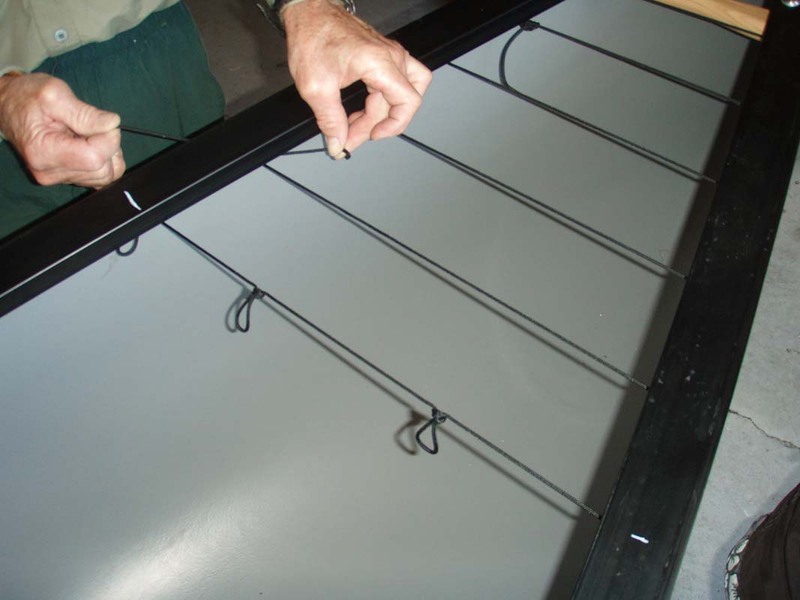 At this point you can decide whether you will drill through the hull or add clips to the gunwales for your cord. 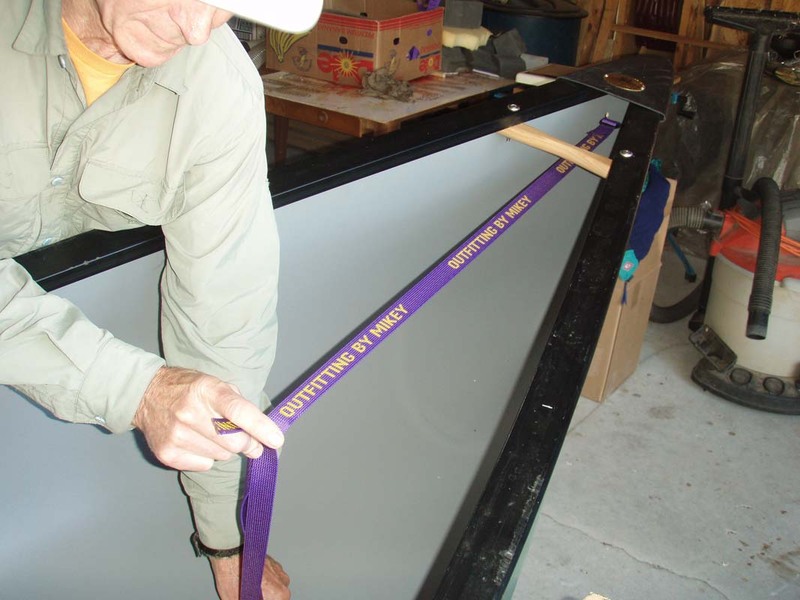 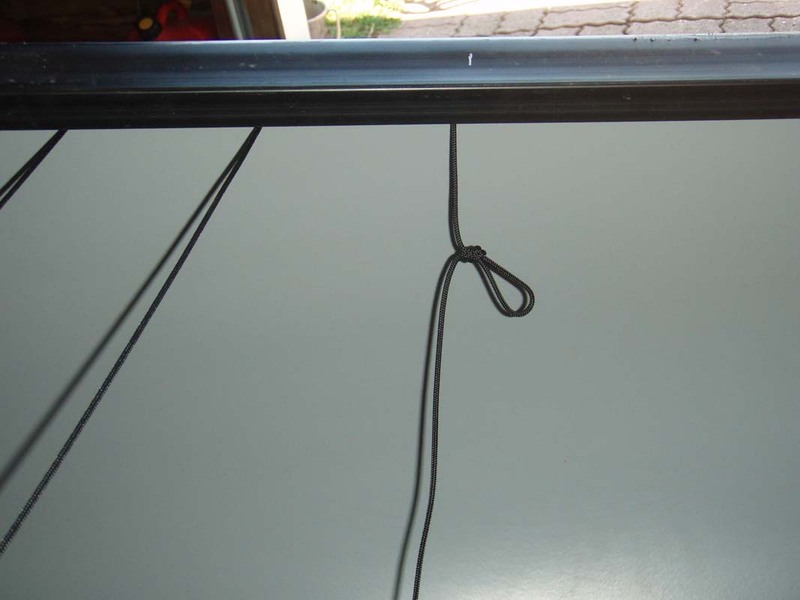 Then replace the grab loop with the 1” webbing grab loop. 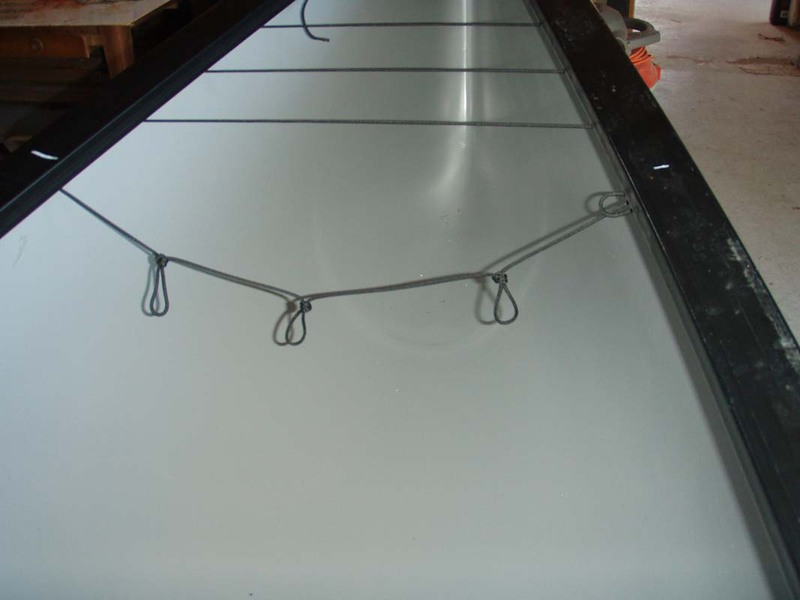 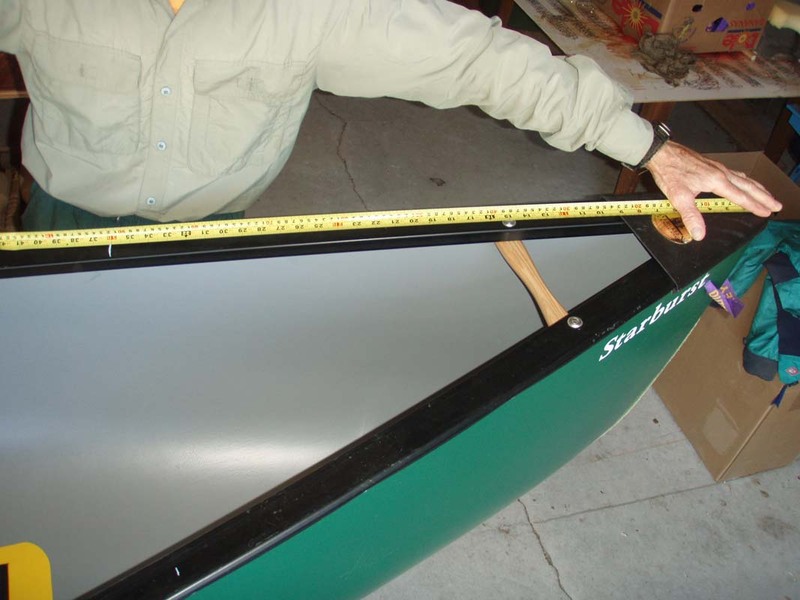 We find this is the most comfortable material for carrying the full weight of the boat. 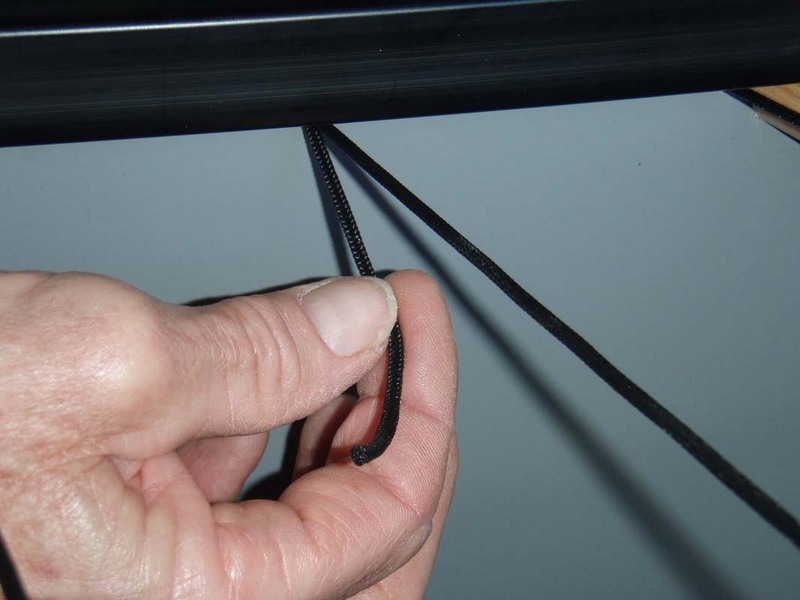 top bag cage strings should now be tight and secure. 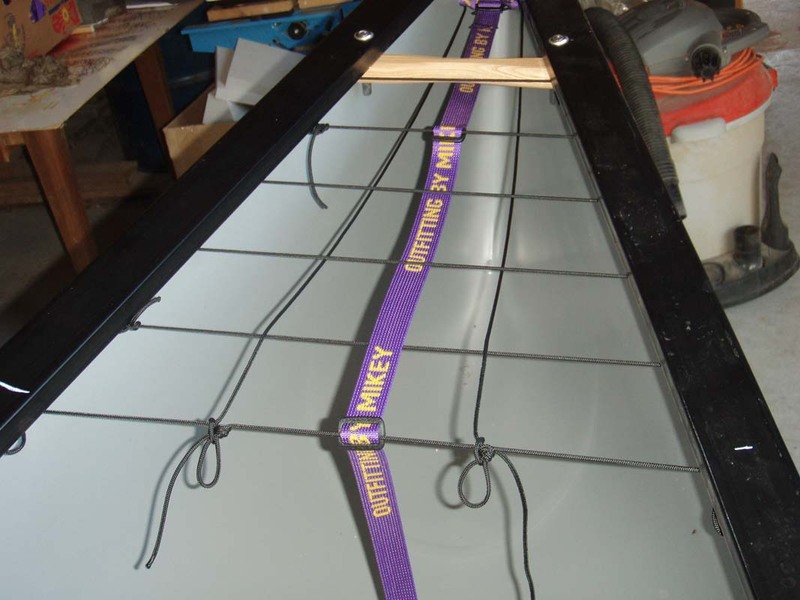 Attach the v-line to loops 2 & 3 (pic 4R). 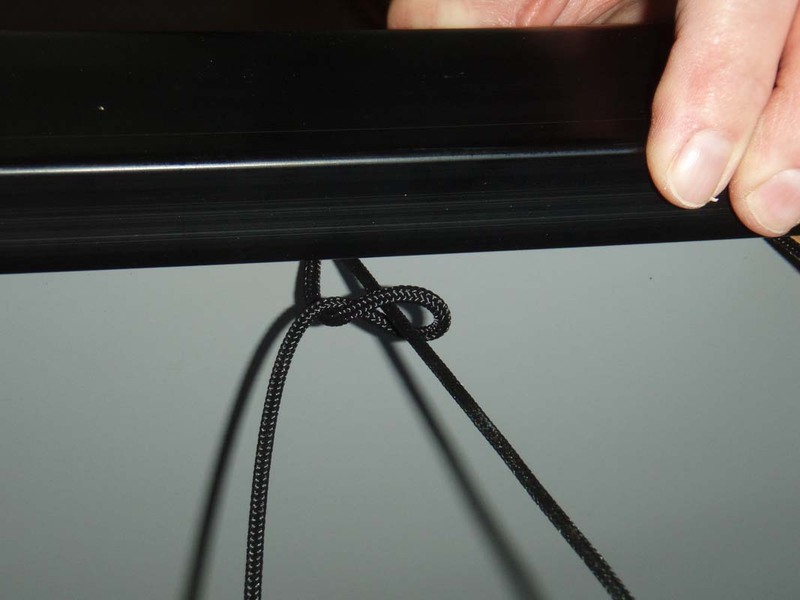 Make sure to run the lines under the bag cage strings except for the last run to give support.